This is according to Sharon Flax-Brutus, Director of the BVI Tourist Board, speaking at the BVI Food Fete 2017 launch on June 9, 2017 at Callwood’s Rum Distillery in Cane Garden Bay. 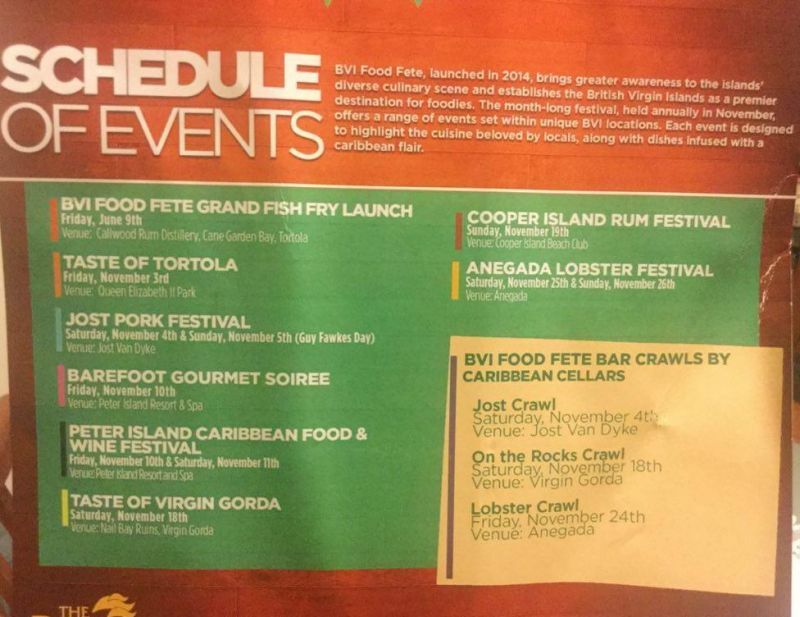 A look at the schedule indicates that visitors and residents will be in for a delightful treat for this year’s BVI Food Fete events, from November 3-25, 2017. 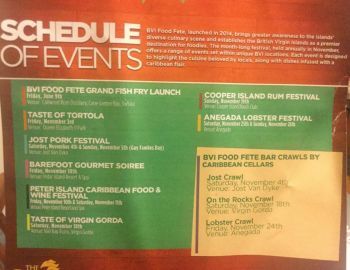 In addition, the events will also highlight and showcase some of the territory’s most talented chefs and their scrumptious custom-made cuisines. Remarks were given by Junior Minister for Tourism, Honourable Archibald C. Christian and Second District Representative, Honourable Melvin 'Mitch' Turnbull. Cindy Rosan-Jones, Event Coordinator, expressed gratitude to all the individuals assisting in making the BVI Food Fete a success. Turnout was excellent! Easily over 200 people! You all make the dog sick with your negativity and lies. Go to Platinum and see the images. The event was great! You can't blame one eye they can't see too good!!! I don't agree, the size of the crowd was just right for the venue. The fried fish and coconut johnny cakes were on point. The HLSCC Stingrays was awesome. Great launch. Can't wait till November!